The spellbinding chemistry of Port Cities is built on masterful songwriting, skillfully crafted arrangements, and the powerful electricity between the three voices at its helm. The band surfaced as a result of genuine connection and a profound shared belief in the music they make together; it’s soulful and vibrant — commanding, organic pop melodies buoyed by stunning three-part harmonies. 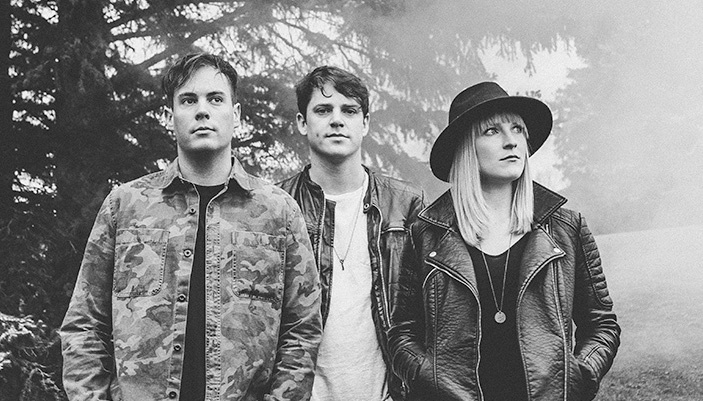 Coupled with their engaging camaraderie onstage and off, Port Cities have become a not-to-be-missed live experience. The trio—Carleton Stone, Breagh Mackinnon, and Dylan Guthro—began writing together in 2011 amidst the breathtaking edge-of-the-world landscapes of Cape Breton Island. They formed a strong musical connection as each of them were releasing award-winning albums and touring solo careers, but soon their creative success started to demand more ongoing collaboration. Each of the three songwriters brings distinct strengths to Port Cities, creating heart-wrenching songs reminiscent of Fleetwood Mac and Crosby Stills & Nash. The quality of their music should come as no shock: between them, they’ve recorded six solo albums and have collaborated with the likes of JUNO award-winning duo Classified and David Myles, Hawksley Workman (Tegan and Sara, Serena Ryder), Howie Beck (Feist, Hayden), and acclaimed singer-songwriter/Broken Social Scene alum Jason Collett.